Triton Martinique electric shower heats cold water instantly and flawlessly. Don’t shower in cold water anymore! 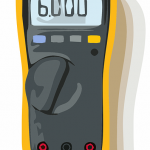 Precisely choose your own temperature using a temperature dial with numbered graphic. Not just that it has a precise temperature dial, it also supports three power modes for different scenarios. High power mode is good for cold winter days, while economy mode is best for warmer days of summer. 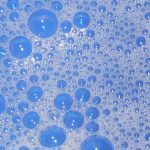 Cold setting is great for rinsing. Starting and stopping the shower is controlled via start/stop button. There’s no reason! 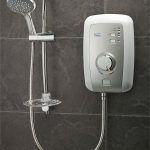 This 10.5kw electric shower features a limescale resistant shutdown – it flushes all the water out of the shower before actually shutting down. Shower head features five different spray options for maximum pleasure and comfort while showering. If the pressure of the water becomes too low, warning led will lit up. Triton Martinique 10.5kW Electric Shower allows you to enjoy refreshing hot water showers at preferred temperature anytime you want. It frees you from depending on the hot water in the boiler when you want to take a shower. The 10.5KW Electric Shower instantly supplies hot water that will run for as long as you want for you to enjoy a relaxing shower. The shower unit runs independently from your hot water system. The Triton shower is stylish, sleek and comes in attractive finish and colors making it a perfect bathroom fixture. 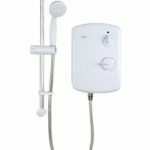 The Triton Martinique 10.5kW Electric Shower is elegant in looks and features white body with chrome highlights. The color and the style of the shower piece blends well with almost all the tile colours and bathroom accessories. The sleek design of the electric shower comfortably fits in bathrooms with limited shower spaces. 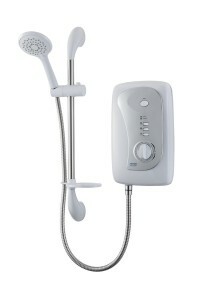 The electric shower comes in the range of styles and designs including classic white, satin chrome and glossy black. Accessories of the shower are available in chrome finish which complements every bathroom layout. The Martinique features nine heat levels which can be adjusted using the knob provided on the unit. The nine levels of temperature are marked around the knob for ease of operation. The electric shower comes with five different spray modes for convenience which enables the users to select the one of their choice. The modes include full spray, drench spray, rain spray, jet spray and blast spray that can be changed easily by rotating the shower head. You will never run out of hot water with this electric shower. 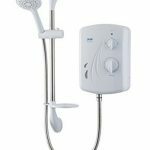 This stylish electric shower ensures the continuous flow of hot water even when someone else in your home is using hot water at the same time. The heater heats water independently when turned on and will release hot water in just a few seconds. The heating element of the electric shower is concealed within a beautiful fiber box which prevents the element from damage even if the unit gets wet. The electric shower can be fixed or replaced easily and only needs a power point and a water outlet. The electric shower comes with 10.5 kW heating capacity which means better performance with heating efficiency. 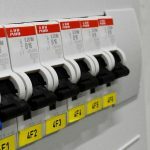 Moreover, the unit is energy efficient as it heats up only that water which it uses which means only required water is heated resulting in low energy costs. Installing the unit is easy as the shower can be fixed in just few simple steps without any external help. The unit makes a great product if you are considering to replace your old electric shower. The Triton Martinique is equipped with additional features includes three power switches; height adjustment rail is included with the set, phased out switch-off and push button stop/start. The Triton Martinique 10.5kW makes a great bathroom fitting for both contemporary and modern bathrooms. 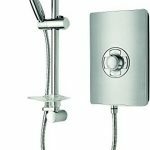 The electric shower is not only attractive in looks but is also easy to install with incredible functionality making it the favorite electric shower among the buyers.